Photo: Adam P. Leighton House, ca. 1902, 261 West Promenade, Portland ME. Listed on the National Register of Historic Places in 1982. Photographed by User:John Phelan (own work), 2013, [cc-by-3.0 (creativecommons.org/licenses/by/3.0)], via Wikimedia Commons, accessed March, 2014. The Cumberland County Courthouse is located at 142 Federal Street, Portland ME 04101; phone: 207-871-8380. The first white settler came to the county no later than 1628. The 1677 purchase of the province by Massachusetts found the area as part of Yorkshire county; the county was organized as Cumberland in 1760. 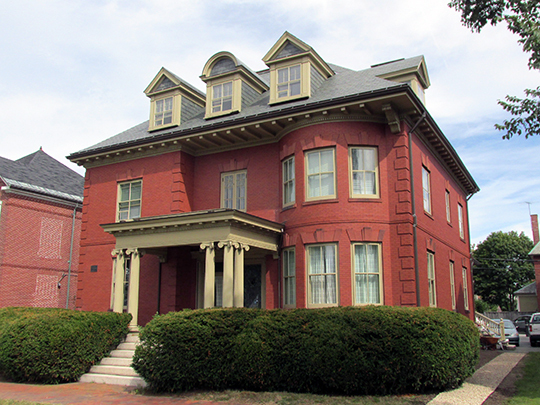 The county is home to more than two dozen historic districts listed on the National Register of Historic Places.